Apparently some folks who were visiting Wikipedia saw some annoying banner ads. Not the requests for donations from its founder Jimmy Wales, mind you, but real banner ads promoting things to buy from third-party sites. We never run ads on Wikipedia. 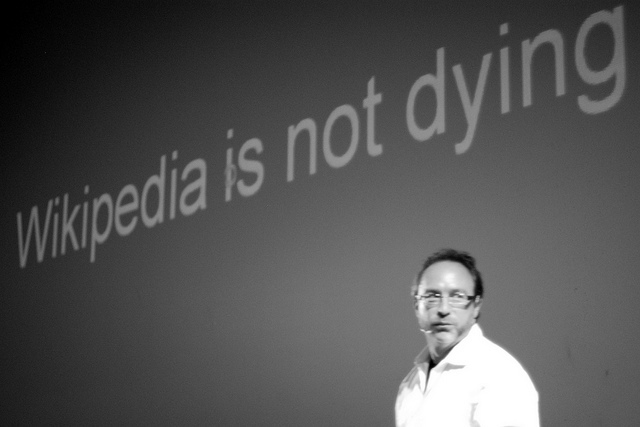 Wikipedia is funded by more than a million donors, who give an average donation of less than 30 dollars. We run fundraising appeals, usually at the end of the year. If you’re seeing advertisements for a for-profit industry (see screenshot below for an example) or anything but our fundraiser, then your web browser has likely been infected with malware. Wikipedia also added some instructions on how to remove malware or wayward extensions from your browser and suggested that this could also be something that an Internet cafe or free internet provider is injecting into your web experience. But rest assured: you won’t be seeing legitimate advertisements on Wikipedia. We’re here to distribute the sum of human knowledge to everyone on the planet — ad-free, forever. If you think that your computer has been infected by some type of malware, check out this list of spyware removal tools and give one a try.